Today's chutney is Vengaya vadagam chutney. As the name suggests, it has one of the ingredients as Vengaya vadam or vengaya vadagam or thalippu vadam or seasoned vadam (everything the same). 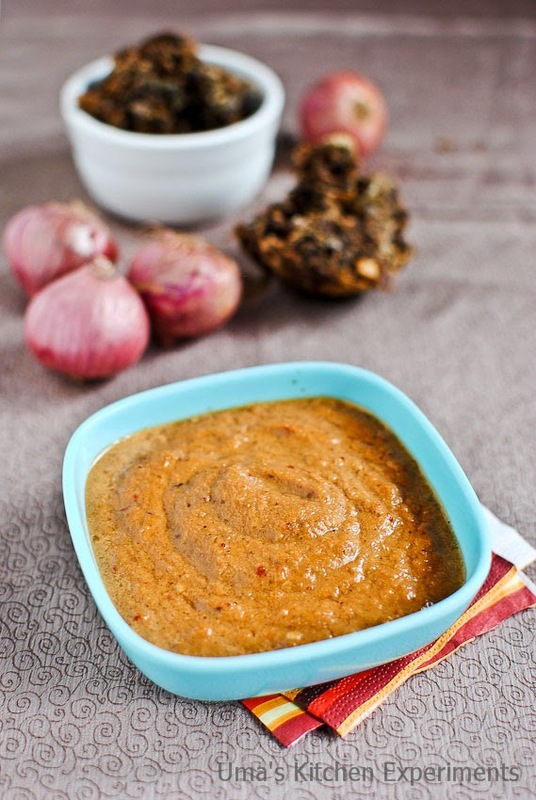 This one ingredient makes this chutney very flavourful and changes the entire taste of it. My grandma and amma send me a parcel of vadagam every time when they make. I make use of this vadam for seasoning dal and tamarind based gravy for nice flavor. 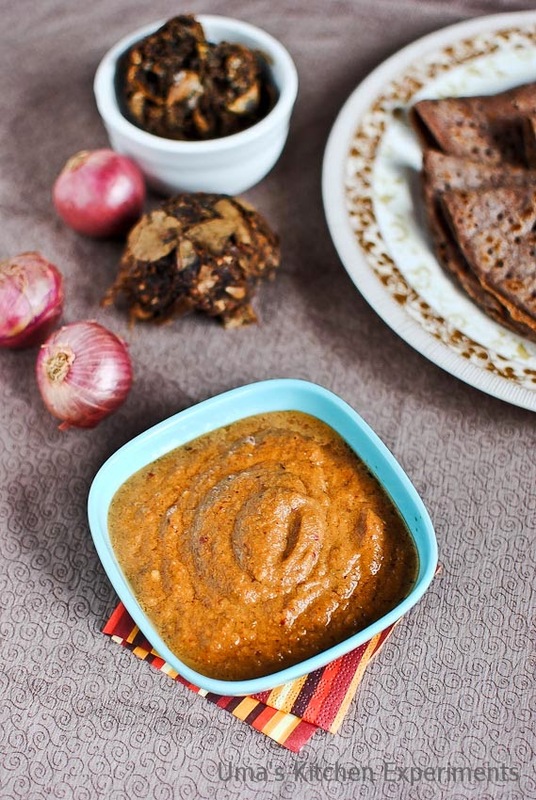 I never know this kind of chutney exist until I saw post from sharmi's blog. Bookmarked it immediately and tried it. It was great success at home, in fact easy to prepare. But remember, there are many methods of preparing the vadam. What I have used in this chutney, uses lots of red onion (big onion/Bellari as known in local market) and used less spices. Since this vadam make a big difference in this chutney's taste, it is important to choose good quality or simply use home made vadams.Now off to the recipe. Hope All would have liked the chutney recipes what I have posted. Please feel free to give your feedback which makes to do something better than now. The video recipe is available at Indian Curry Trail Youtube Channel. If you like my video, please like, share and subscribe. Thank you! 1) Slice the onion and keep aside. 2) Heat oil in the pan. Add vengaya vadam and dry red chillies. Fry them for a minute. Vangaya vadam tend to burn very quickly, so make sure to fry it in low flame. 3) Add sliced red onion. Saute till the onion turns soft and changed to slight brown. 4) Add tamarind and continue sauteing for few more minutes. Once done, allow this to cool. 5) Add all the sauteed ingredients in a mixie jar and blend it to a chutney consistency or to a slight grainy paste by adding enough salt and water. 6) Serve with Idly or Dosa. 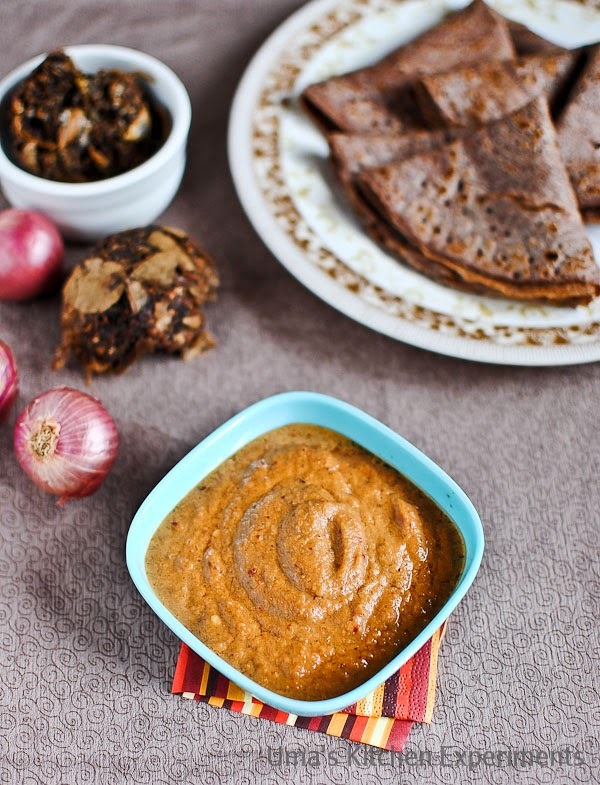 We had it with Ragi Dosa. 1) Everyone makes their own type of vadagam. So, I would suggest to start this chutney with 1 teaspoon or small quantity of vadam and after getting to know about your vadagam, adjust it's quantity in your next try. 2) The same chutney tried with small onions/ shallots tasted very good compared to the chutney with big onion. 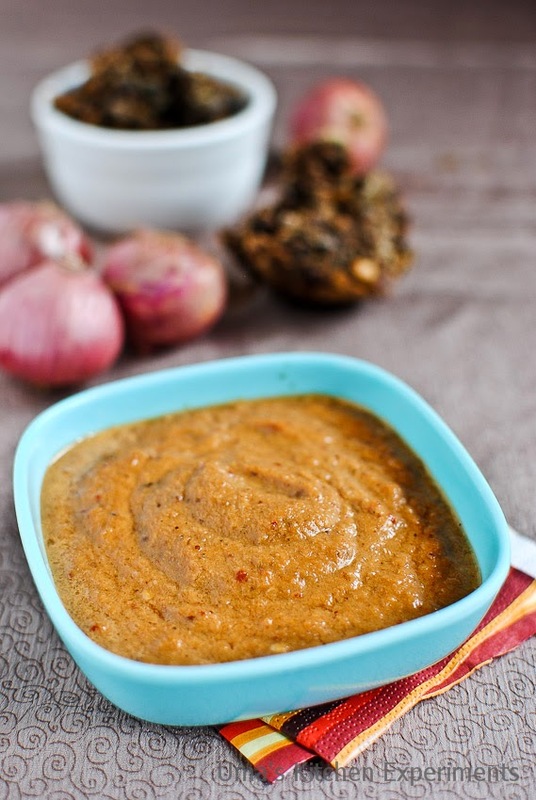 Flavorful chutney goes well with dosa, idly!! Have not tried this before. Looks delicious.